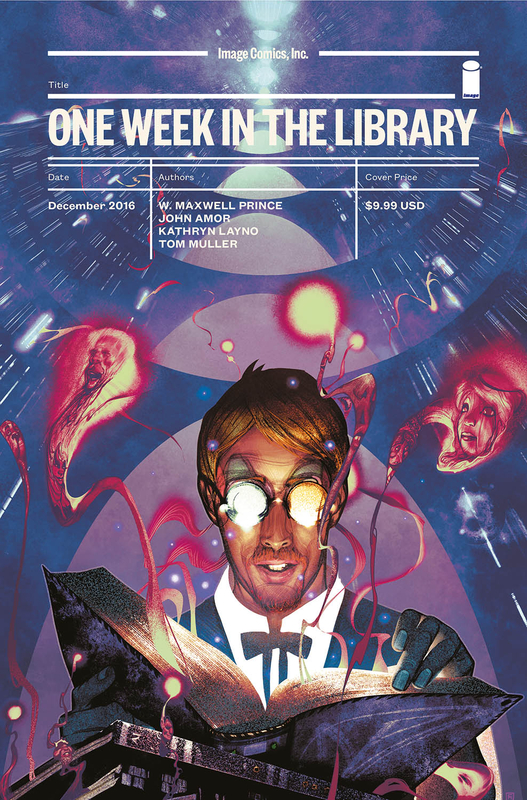 In this experimental graphic novella, Allen has lived his entire life in the Library, a place where all the stories ever written are kept. There’s no way out, but he’s not alone. The stories are alive and don’t always do what they’re supposed to. It’s his job as the librarian to keep things in order. In seven short stories, one for each day of the week, literary rebellions keep Allen busy. This is a hard book to describe. It’s very unique and I can easily see why this is considered “experimental.” I love that it takes some literature and movie imagery and throws them in as characters. From the Pinocchio and Charlotte’s Web, to Castaway and The Matrix, it feels like finding a bunch of Easter eggs and the more well-read you are, the more you find. The weirdest part though, is the ending. Readers will either love it or hate it. The author himself realizes the ending is weird and explains why as he’s writing it. Personally, I loved it and felt like I could relate in a lot of ways. For a mind-bending graphic novel with plenty of literary references, this is a quick read that I can easily recommend. Having only read a handful of graphic novels so far and eager to discover more, I was excited to start One Week in the Library, and this being an experimental novella only piqued my artist's imagination. I agree, this book is definitely hard to describe, but well worth the read. Great for fans of short stories, experimental art, graphic novels, or all of the above. I really loved seeing all the literary and cultural references and the idea of library stories gone wild! I'm definitely going to read it again, for fun, to see if there are more references that I missed, and also to decide how I feel about the ending, ha!